Mother is the only word that can define the word selfless in the best way. Every time we see a strong mother or a woman I wonder how she manages to give her time and efforts with so much love and compassion with absolutely no expectations. She always forgets to take care of herself amid her responsibilities and work and spending so much time taking care of others. A woman should always remember to take care of herself first to be stronger to take care of others. 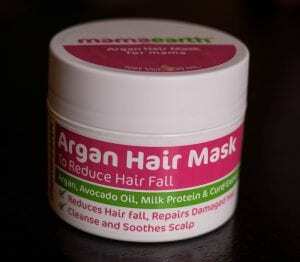 MamaEarth – Argan Hair Mask. Since I don’t experiment with any new product, especially on my hair I was quite scared but trust my words, after the first wash, you will feel that Argan Hair Mask has transformed your hair. Using shampoo and conditioner on a daily basis has damaged my hair, but after using this mask it makes my hair look gorgeous silky and frizz free. I am not at all disappointed with this product. I will recommend this product to all of you. 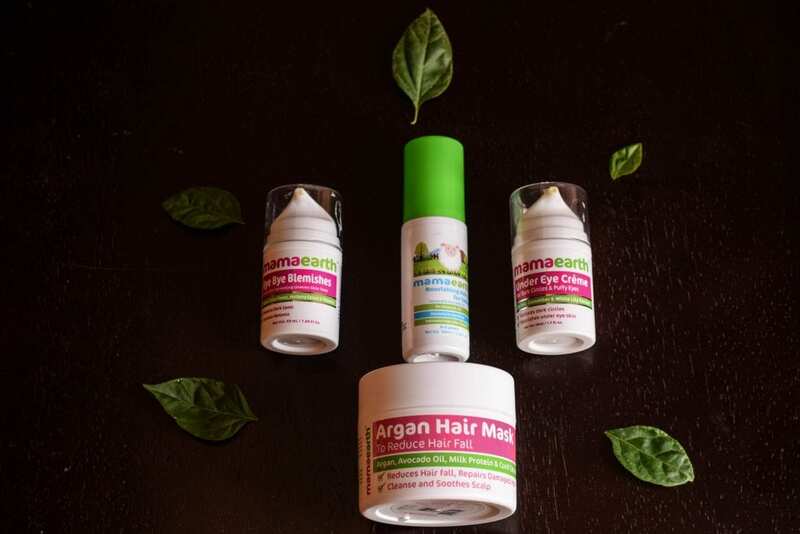 Argan Hair Mask even reduces the hair fall and promote hair growth. The ingredients in the mask are avocado oil, milk protein, argan oil and curd extract which are known elements for healthy hair. The product is packed really well, the texture is smooth and most importantly smells nice in spite of no artificial fragrance. Apply a generous amount to towel-dried clean shampooed damp hair. Use your hands and fingers to evenly distribute through hair, beginning at the scalp to hair ends and leave for 5 to 15 minutes and then rinse. Use 1 to 2 times weekly. You may apply it before or after shampooing your hair, as it suits you. If you have very dry and frizzy hair, use it after shampooing. A blemish is the main reason for the skin discoloration and it occurs when the natural oil increase on our face also called sebum, resulting in clogging of the pores. It is also known as hyperpigmentation. Though I don’t have acne problem since I have combination skin, Blackheads and whiteheads are the main worries. Along with that frequently changing environment occasionally gives me blemishes and it takes 1 to 2 months to get rid of those scars which are really frustrating. 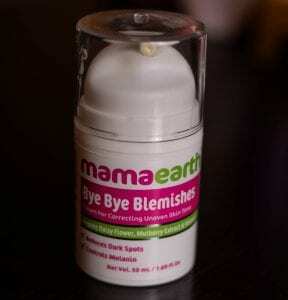 Bye bye blemishes contain natural ingredients like organic daisy flower, mulberry extract and vitamin c which helps in controlling melanin and dark spot. The texture is very smooth and has a nice fragrance. The product gets absorbed very quickly, keeping your skin hydrated with a matte finish. I found there is a reduction in the dark spots/ pigmentation even tan has reduced noticeably. I would definitely recommend this product if you have any scar and acne relating problem. The product comes in an easy dispensing pump bottle, makes it look good and easy to use. Spread over generously to the rinsed skin, starting at the neck and working your way up to the face. For best outcomes, use two times a day. I don’t have dark circles as such, but my husband does so this is the first product, I have used on him to lighten the dark circles and I am using it to reduce the puffiness. The product claims to reduces, puffiness, bags, and wrinkles and it works as I hoped for. I cannot give you the final decision now as it will take some time to discover whether it’s working or not, but it worked for puffiness and dryness under my eyes. If tired looking eyes is your foremost worry then what can be better than using a product with all the natural ingredients. It has a visible effect on puffiness. It is off-white in color with smooth, light consistency and gets easily absorbed. 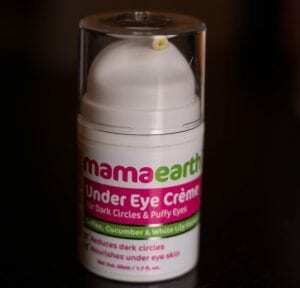 Coffee cucumber and white lily extracts help to boost cell turnover, leaving your eyes soothing and fresh. It comes in a handy cute pump dispenser bottle. Wash your face and dry it, Pat the cream onto the area around your eye. Do not rub, as you could tear the gentle skin. Use your ring finger to apply eye cream. Encourages hair growth. It contains no harmful chemicals, artificial fragrance. I will strongly recommend this oil. Rub on oil to the scalp and mildly massage with your fingertips in a round motion. 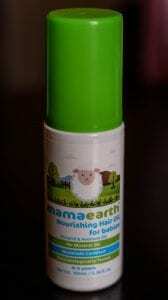 MamaEarth is one stop shop for Babies & Mommies. 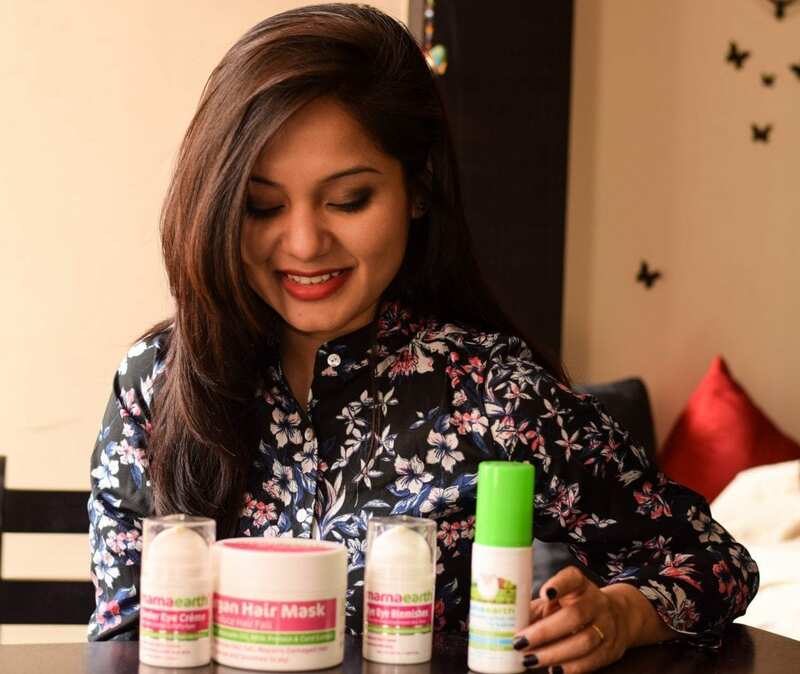 My experience with all these mamaearth products was truly good. Looking forward to trying more product’s and share my views. Previous Post Tips To Protect Your Skin & Hair From colors this HOLI.